Description: The essentially new opportunities in sphere of preparation of the experts and use of computer engineering in designing with the AutoCAD 2008 are considered. Pomortseva, E.E. 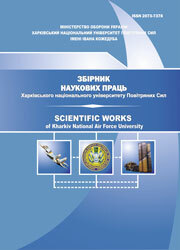 (2007), “Stanovlenie korporativnogo obucheniia kak chast kultury proektnoi deiatelnosti”, Scientific Works of Kharkiv National Air Force University, Vol. 3(15), pp. 165-.